The fancy pink purple diamond is under half a carat in weight at 0.45. Its princess shape with measurements 4.09x3.72x2.99 will draw the eye to it immediately. 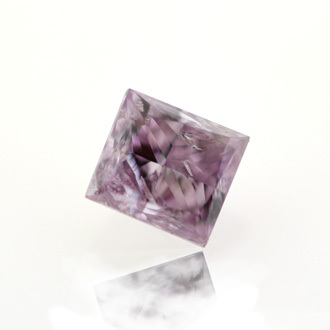 The conventional shape is perfect for mounting in a ring, while its unique hues of pink and purple are both impressive and subtle.